Kangaderoo Custom QR Code. 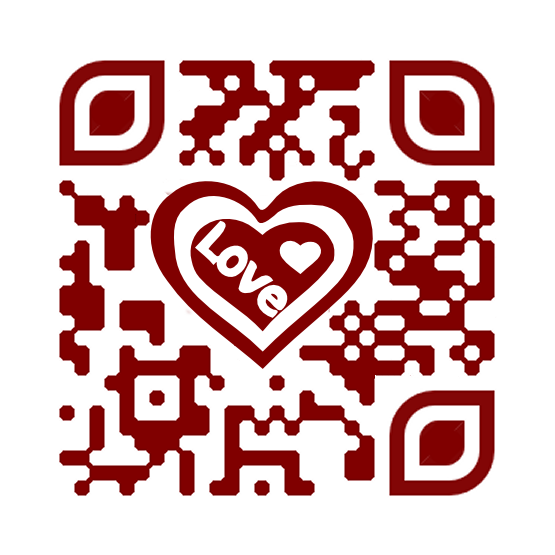 : Lovely QR Codes. Quote from the movie The Addams Family: "You are going to love this." A pictures can say more than a thousand words! In case of a QR Code these thousand words and the picture can be combined. Using graphical enhancement a QR Code can already increase its appeal. From a black and white squired picture to a smooth graphic is just the first step. Combine this enhanced graphic with an incentive to be scanned. If the content of the QR Code is a link to a website, this website must be designed for mobile use, since the chance that this code is scanned with a desktop computer is slim to none. Although I think it would not be a good idea to use thousand words on this website, a mobile device is just not the right device to read a lot of text :-). Besides, how may words would you need for a valentine message?